Despite the departure of the Rajapaksas, the hinterland of Hambantota is very much in the news. 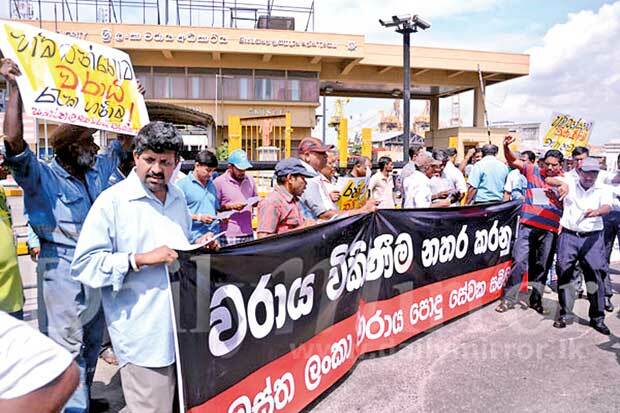 The privatization attempt of Hambantota Port by the government has drawn much controversy. Though the government intentionally refrains from using the terms ‘privatization’ and ‘sale’ when it talks about the subject, instead brands it a ‘debt-to-equity swap’, the public backlash has delayed the signing of the sale agreement with the relevant Chinese party. Before deeming the good, the bad and the ugly side of the port deal, it is important to put the rhetoric aside and use some vital statistics to put things into perspective. 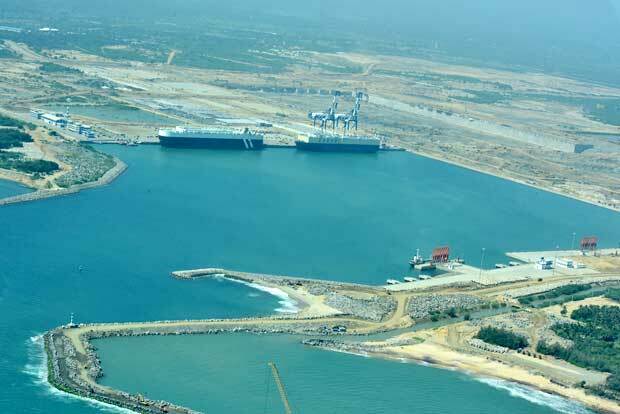 According to the Finance Ministry data, Hambantota Port project has a total loan of US $ 1.35 billion. Out of that, US $ 900 million was drawn at a 2% interest rate and the remainder is with an interest rate ranging from 6.3% to 7.65%. According to Sri Lanka Ports Authority (SLPA), provisional data secured by Daily Mirror, the Hambantota Port (phase I) in 2016 made a revenue of US $ 11.81 million and incurred expenses of US $ 10 million as direct and administrative costs to report an operating profit of US $ 1.81 million. Assuming the Hambantota Port would record a 20% growth in operating profits next year, which according to shipping experts is still a very optimistic scenario, it would record an operating profit of US $ 2.2 billion in 2017. In contrast, the loan payment for the year, according to the above statistics, would amount to almost US $ 79 million, creating a deficit of US $ 76.8 million, which the government would have to use the tax payers’ money to settle. Let’s assume the port would be able to maintain a 20% profit growth for 15 years at a stretch, it would be making an operating profit of US $ 33.5 million in 2032 and the loan repayment amount would stand at US $ 68 million, yet short of almost US $ 35 million to stand on its own. In the meantime, we shouldn’t forget that the port needs investment, at least running into a good half-a-billion dollars to forge ahead to establish itself as a major port and a trans-shipment hub in the Asian region, leveraging its strategic location. Hence, looking at the above assumptions, some drastic measures are required for the port to keep functioning before it becomes a massive burden to the national budget. The first announcement from the government with regard to the Hambantota Port was about a debt-to-equity swap. But later it was revealed that a joint venture (JV) company would be formed between the SLPA and China Merchant Port Holdings Company Limited (CMPHC) incorporating the port and its premises, and thus, 80% of it would be owned by CMPHC and the rest by the SLPA. CMPCH would pay US $ 1.12 billion for its 80% holding, which would be subjected to a lease period of 99 years. The deal includes the 1,235 acres of land that belongs to the Hambantota port. We hope somebody has done a proper valuation to arrive at these figures. According to the information available in the public domain, the Hambantota port development project is a government-to-government deal between the Sri Lanka and China. A Memorandum of Understanding (MoU) is believed to have been signed between the two governments and based on that, two bids from CMPCH and China Harbour Engineering Company Limited (CHEC) were entertained by the Sri Lankan government. However, the CMPCH’s bid was chosen over the latter’s. CMPCH is the company that operates the Colombo International Container Terminal (CICT) while the CHEC handles the Colombo Port City project. Against this backdrop, we can identify that several major flaws in the way in which the potential monetization of the Hambantota Port was handled by the government. The biggest flaw was the absence of calling of international bids for the port development project on a competitive basis. Yes, the port was funded and built by the Chinese. But does it need to be managed by the Chinese too? This is not to belittle the Chinese assistance generously extended to Sri Lanka, especially in the post-war period. But if the government had gone for a round of international bidding, wouldn’t there have been a much sweeter deal? Even the two Chinese companies would have offered better deals! There are enough and many examples where international port and terminal operators have made bids for Asian ports depending on their strategic positioning and importance to international trade. Needless to say that, location-wise, the Hambanota Port is in a highly strategic position as far as international maritime trade is concerned. If that was the case, the public opinion over the privatization of the Hambantota Port would have also been different. If the terms and conditions were properly laid out in a transparent manner, there would have been lesser chance that the educated public would make a fuss over it. By making it a government-to-government project, a question arises as to whether the deal is purely commercial in nature or has to do more with geo-politics. It is no secret that the initial arrogant approach of the coalition government with regards to the Chinese involvement in Sri Lanka had ruffled some feathers. 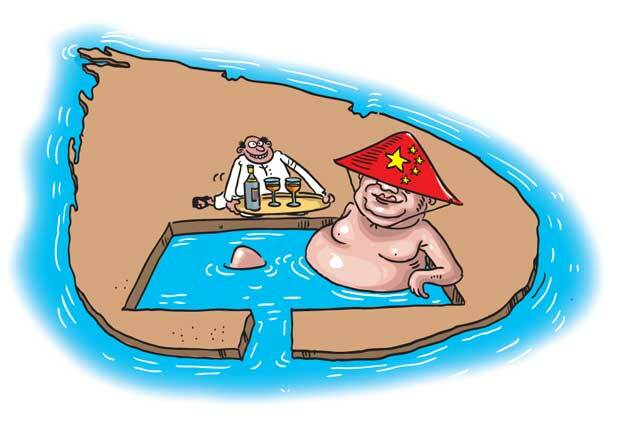 China, which was the biggest source of finance for Sri Lanka in the post-war era, was overlooked by the Western-oriented coalition government, naively thinking that the funds from the Western world, which was sidelined during the Rajapaksa administration would, flow in. Since no funds came in, the government returned to China, which was waiting patiently, with a begging bowl. By that time the government had antagonized the Chinese enough by halting the Port City project, which was initiated by the Chinese President Xi Jinping in Colombo. So the proposed awarding of the Hambantota Port to a Chinese company is an overcompensation to China to offset the consequences of disastrous foreign policy initially adopted by the coalition government? Another case of the economics taking the rear seat and geo-politics taking the front is the proposed construction of the East Container Terminal of the Colombo harbour. Though international bids were called from interested parties, the creeping in of geo-politics into the deal at a later stage has stalled the whole selection process. It was only last week, economic advisor to the President and trade policy expert Dr.Sarath Rajapathirana told a forum in Colombo that political decision-making on economic matters should be backed by proper research. He said government policies, especially ones to do with the economy, should be backed by research and highlighted the disconnect between the policy makers and the researchers in the country. In other words, when there is no policy informed by research, economics goes to the rear seat and geo-politics and other vested interests occupy the front. This is not to naively say that politics and economics could be separated. But it shouldn’t be too much of an ask when a decision relating to the country’s economy is taken, economics should always be at the forefront. True as stated in the last sentence `when a decision relating to country`s economy is taken, economics should always be at the forefront`. But the economist has to be knowledgeable as well. When Mattala airport was opened an Economist of U of Colombo reported in Sunday Observer of 10.03.2013 that this airport is a commercially and economically viable project and $ 210 million cost can be recovered in 10 years and it should have been constructed long ago etc. Is it true!